Captain Dino Sagani has been named master of Majestic Princess, and Captain Craig Street has been appointed as relief Captain. Captain Sagani will lead a senior officer team with more than a combined 100 years of seagoing experience between them. He has worked for Princess Cruises for over 21 years having commanded a variety of Princess vessels, including Sea Princess, Dawn Princess, Sapphire Princess, Diamond Princess and most recently as relief captain on-board Royal Princess and Regal Princess. Born in Trieste, Italy, he studied at the Nautical College in Trieste, which is one of the oldest Nautical Schools in Europe. On completion of his studies, he joined the Italian Navy, serving on a minesweeper during the first Gulf War. 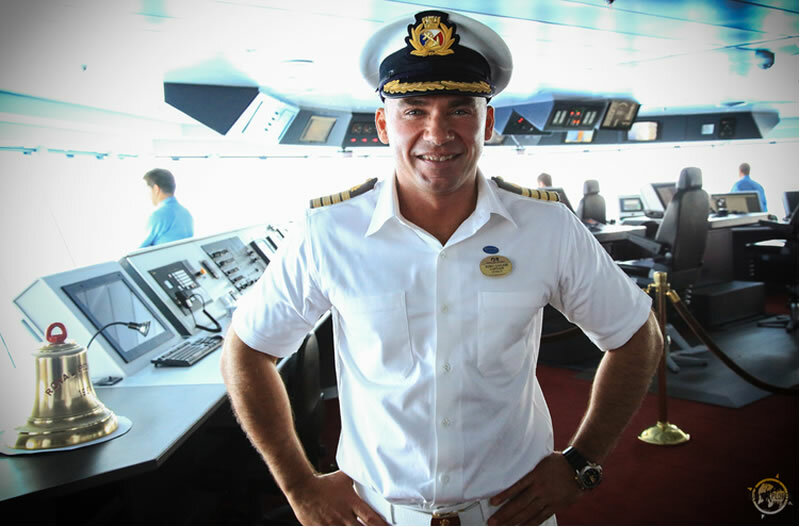 After the Navy, he joined Princess Cruises in 1995, and was promoted to Captain in 2007. Captain Craig Street has also commanded a variety of Princess vessels, including Caribbean Princess, Golden Princess, Sea Princess, Sun Princess, the former Royal Princess and Pacific Jewel, with sister company P&O Australia. Born in Norfolk, England, he spent most of his youth living in Edinburgh, Scotland. In 1990 he joined Princess Cruises as a deck cadet and after serving three years as an apprentice, qualified as 3rd Officer in 1993. Captain Street was responsible for bringing three Princess cruise ships – Caribbean Princess, Sea Princess and Dawn Princess – into service from the shipyard in Italy. Majestic Princess – with the Chinese name of 盛世公主号 (Shèng Shì Gōng Zhǔ Haò) – is under construction at the Fincantieri shipyard in Monfalcone, Italy, and will be purpose built for the China cruise market. The ship will feature offer many of the same key features as Royal Princess and Regal Princess, including the multi-story atrium, the glass-bottomed over-the-ocean SeaWalk, the Princess Live! interactive studio, and the Chef’s Table Lumiere. The 3,560-passenger Majestic Princess will be based in China year-round. The ship will enter service in April 2017 with a selection of European itineraries before repositioning to its home-port of Shanghai.